This is a very long post, so grab a cup of tea and consider the following. "Patrice, here’s a question. The bees sound like a project you keep sinking money/resources into (buying bee boxes, buying more bees, having to feed them year-round instead) without getting anything in return. Obviously you’re hoping for a reliable honey source one day. But when homesteading or trying to set up a farm, at what point do you say the sunk costs are too high and quit pouring money or resources into something that isn’t working? Have you had any big projects you’ve had to just give up on after trying everything? When do you make the call between something you think you need for self-sufficiency, and a project that’s just draining you dry and costing you time/money that could be better spent on other projects? No snark. Genuine question. How do you find that balance?" I thought these were brilliant – absolutely brilliant – questions. In fact, I will offer my thoughts below, then invite readers to put in their $0.02 worth as well. This is an unusually thorough definition, you must admit. Those who practice homesteading (as opposed to just living rural) tend to have a few things in common, one of which is a limited budget. Since most homesteaders are not independently wealthy, they must come up with frugal alternatives. The overall result, among homesteaders the world over, is an amazing font of creative, thrifty solutions to various problems. 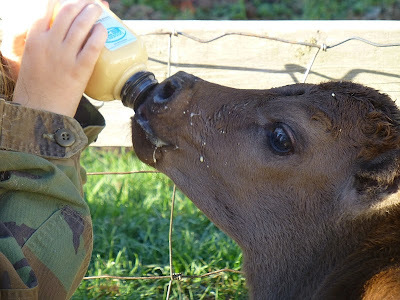 Homesteading, as long-time readers know, is not something that can be “achieved” rapidly. It’s a rare homesteader who gets anywhere near self-sufficiency after, say, one year. Those who try to push it that fast are generally doomed to failure. I often advise newbies not to bite off more than they can chew lest they grow discouraged and give up the lifestyle out of frustration or exhaustion. Because of our own limited financial resources, we have to carefully pick and choose projects on which we want to focus. Over the years, we’ve chosen to invest in infrastructure rather than aesthetics. Our house still has its original worn, torn kitchen linoleum and ugly blue utilitarian carpeting, but our garden is looking better every year and our livestock are flourishing. These choices add up. Year by year, little by little, project by project, investment by investment, we’re building our farm and shaping it into what we want. It’s fun. It’s challenging. The “goal” is just as enjoyable as the “process.” It’s a lifestyle, not a destination. Some projects will take priority. It quickly becomes apparent what needs to be done sooner versus what can be put off indefinitely. Our need for a barn for hay storage and livestock shelter was a priority. So was a tractor, to act as a force-multiplier. These projects were expensive – we went into debt for both of them – but we knew the benefits would be instantaneous and long-ranging. We also paid them off as fast as possible. How do we select which projects to tackle? Simple: we consulted our Master List. A Master List, divvied into A, B, and C categories for purposes of prioritizing, has allowed us to accomplish an amazing number of projects over the 13 years we’ve been in Idaho. 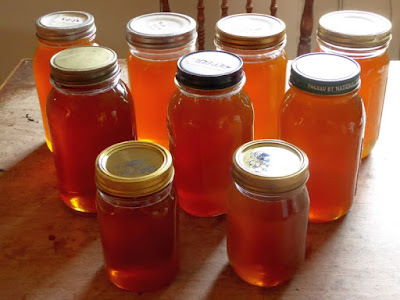 The reader asked about projects that might be prone to failure, such as our honeybees, and wonders where the cutoff point is when the price is too steep and failure is too common. 1. Is it feasible? Is it possible to succeed? 2. Will it contribute toward our ultimate homesteading goals of self-sufficiency? 3. Is it ultimately self-sustaining? 4. Can we afford it? True story: Back when we still lived in Oregon, Don thought it would be interesting to try planting peanuts. Needless to say, it didn’t work. While it was a fun experiment, we didn’t follow the criteria listed above. Peanuts are not feasible to grow in a northern climate; peanuts (much as we enjoy them) would not contribute toward a goal of self-sufficiency, and peanuts would not become a self-sustaining enterprise. Sure, we might have succeeded in growing peanuts if we’d invested, say, thousands of dollars into artificially duplicating the specialized conditions peanuts need. We could have built a greenhouse, heated it, and installed gro-lights to simulate longer day length. But would it have been worthwhile, just to grow peanuts? Of course not. An enterprise like that would violate the criterion #4, affordability. For the same reason, we won’t try to grow, say, coconuts or pineapples. These projects would be doomed from the start. So the first thing is, we don’t try projects we know won’t work. We generally don’t start projects which have no chance for success. We can’t afford it. Let’s look at the bees. 1. Is it feasible? Is it possible to succeed? We know people keep bees successfully in north Idaho. Yes, it’s possible to succeed with bees. 2. 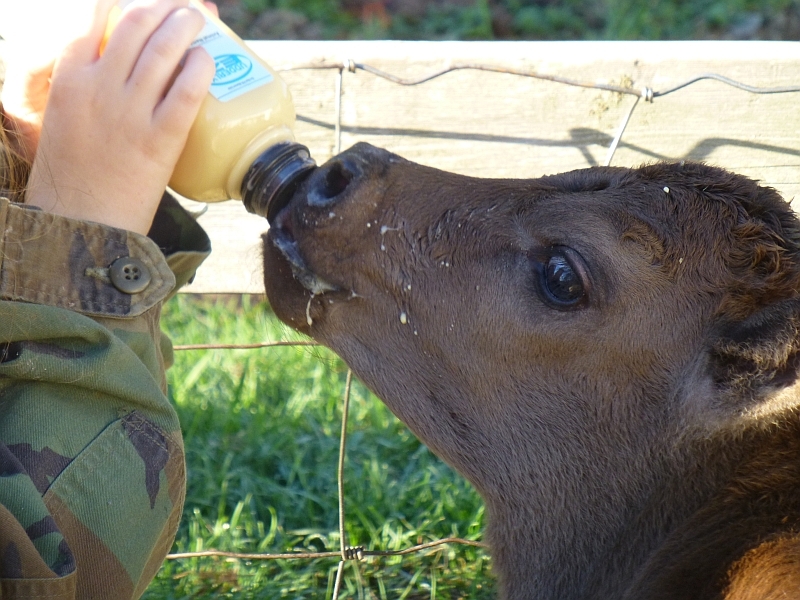 Will it contribute toward our ultimate homesteading goals of self-sufficiency? Clearly bees fill this criterion. We knew it would take several years before the venture would “pay off” in terms of honey. But we also knew bees would be an excellent fit for our homestead, with triple benefits: wax, honey, and pollination. The critters were initially costly – I took a beekeeping class, we purchased the boxes, frames, and tools, and of course we’ve purchased the bees themselves – but eventually we hope to recoup our costs. 3. Is it ultimately self-sustaining? Yes, bees can become economically feasible in the long run, as well as self-sustaining and self-reproducing at some point (we just haven’t gotten there yet). 4. Can we afford it? Yes. Startup costs were a bit high, but not unbearably so, and we anticipate the bees will pay for themselves within a few years. Bees are of high interest to us because we have no other way to produce a sweetener on our farm. Obviously growing sugar cane is out of the question, and sugar beets take too much work to extract the sugar. So we looked at what alternatives might provide a sweetener, and bees were the clear answer. 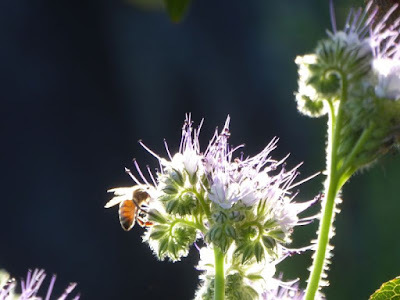 The triple benefits of bees are one of the reasons we’re determined to succeed with them. Another factor in homesteading projects is to learn from our mistakes. This can’t be underscored enough. Our first winter with the bees, we wrapped them too snugly with insulating foam board, and the resulting condensation killed them. We would be foolish beyond belief if we continued that same practice winter after winter. We learned from our mistake. I’m sure we’ll make new and exciting mistakes in the future, which will allow more learning opportunities, but we won’t repeat our earlier boo-boos. How do we keep from getting discouraged by our failures? Part of the answer to this is to pick projects in which we already have a natural interest. That interest motivates us and keeps us pushing past the dismay of failure. Everyone has different interests and can pour heart and soul into cultivating those interests. I have no particular interest in raising sheep, for example. They’re fine and noble animals, and provide many homesteading benefits, but I just have no particular interest in them. If I tried and failed at raising sheep, I would be far more likely to throw up my hands and conclude I’m no good with sheep. But bees? Cows? Chickens? An orchard? Sure. An additional factor in determining what projects to choose is to look for creative answers to problems. 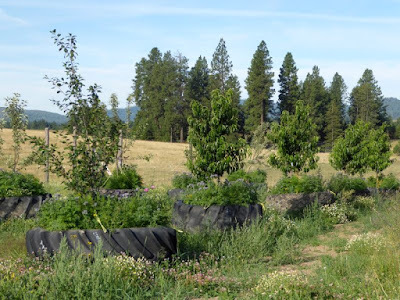 That’s how the tire garden originated: we needed a reliable (and preferably cheap) way to overcome the heavy clay soil and massive weed problems in our area. Another example: We wanted a source of vegetable protein. Dry beans are one of the finest vegetable protein sources available – and they grow in our area – but we haven’t had much luck with them. We’ve learned they don’t have a lot of “bang for the buck.” I could plant a bed of potatoes and get 30 pounds out of it. I could plant a bed of beans and get maybe – maybe – one pound, but more likely eight ounces. A bed of dry beans would use the same space as a bed of potatoes but yield 1/60th of the results. They’re hardly worth the effort. Dry beans, we’ve concluded, are best grown as a field crop. But we wanted a source of protein outside of animal protein (meat, eggs, etc.). Beans are unparalleled sources of protein. What could we substitute for beans? We decided to look at nuts. The only two nuts which grow well in our climate are walnuts and hazlenuts. 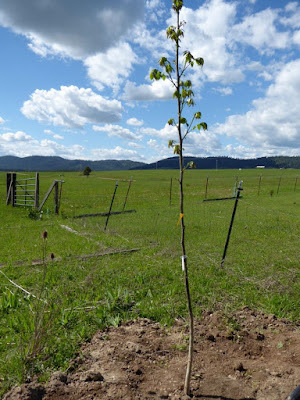 Last summer we planted two walnut trees. The payoff won’t happen for many many years, but it’s a long-term solution to a problem. We also ordered four hazelnut trees, which we’ll receive and plant this upcoming spring. They should produce a crop much faster than the walnuts. What it comes down to is the willingness to research and examine the feasibility of a project. Have others done it in our region? Does it have the potential for success? Will it propel us toward self-sufficiency? Can we afford it? In all things, we need to be flexible and adaptable, willing to acknowledge something may fail, and willing to look outside the box to make something succeed (hence the tire garden – it was our solution to our tough gardening conditions). The failure of the little peanut project we tried years ago was immaterial. It was just a fun sidebar. When we look at putting a lot of work and money into something that keeps giving us trouble (i.e. the bees), we have to look at the potential payoff for its success. • Is it feasible? Is it possible to succeed? • Will it contribute toward our ultimate homesteading goals of self-sufficiency? • Is it ultimately self-sustaining? • Can we afford it? • Are we willing to learn from our mistakes? Don added two more codicils to the above criteria. One, just because no one ever tried something in our area doesn’t mean it can’t be done. Modern equipment and technology may have made the impossible or the too expensive both possible and cost-effective. Always go to the latest research and don't always accept the “It won't work here” mantra as gospel. Things change. And two, never underestimate human ingenuity in solving problems. People gave us endless reasons why gardening in tires wouldn’t work. But filling the tires with superb soil and installing a large-scale drip irrigation system has worked wonders. Now we’re experimenting with growing fruit trees in tires – despite the nay-sayers – so we can see what happens. Okay, folks, pitch in your experience and opinions. Let ’er rip! There is one key factor that you touched on, but I think needs to be said again. What are you learning on the way? You may be investing time and money, sure, but are you LEARNING something usefull? We have had many failures along with our successes and we learned from all of them. For us, cattle were an expensive failure, but we learned a great deal from them. Sheep were our success, along with many other things that go with homesteading. Now that we are off our homestead and on the road in an RV, we have found that our frugal off grid lifestyle fits in perfectly out here! We use less of everything and feel right at home. We are actually quite proud of how little we get by on, and enjoy each saving as another success. It is all because of what we learned as we built our homestead. That knowledge is priceless, so consider what you are going to learn from the project, as well as any other benefit. Patrice, your explanation is very rationale and should be helpful to others. The only thing I might add is that ideally spouses and family can budget 'discretionary spending'. That would include non-essential spending which do not need to be justified. Examples could include vacations, hobbies, luxuries, pets etc. which should not need to be justified as long as costs are within budget. Depending on one's budget, beekeeping could fall under an activity that one undertakes just for fun. Occasional indulgences are not just for Catholics. Patrice; you are correct on all counts, homesteading is a Lifestyle and most often a calling for real down to earth creative individuals that pride themselves on taking care of themselves in all aspects (why should I pay someone to do the same thing that I can do). And it, (homesteading)I believe is most closley associated with the people that actually have learned how to use a can opener,(your millenials column)and at a very early age. There is a mantra that goes: Throw enough money at something and you can achieve anything. I find that to be simply not true as some things are quite simply not possible according to the laws of physics & other laws. There is no end to creatively solving problems and coming up with solutions. 1. I only undertake projects that interest me. 2. I research as much as possible before I start a new project. This includes Internet and, more importantly, talking with people where I live. Learning from their failures is worth a lot. In your bee example, I joined a bee club. These old timers can teach the 'newbees' a lot. I learned that a beekeeper shouldn't expect a honey harvest for the first 3 to 4 years of beekeeping. (I have been fortunate enough to harvest a small amount the first year and a tiny amount the second year.) Knowing this ahead of time can keep one from having unreasonably high expectations. 3. My husband and I discuss whether we think the payoff is worth the investment of time and money. Our projects don't have to make money, but they do need a payout. Getting vegetables, fruit, milk, eggs, and honey are great. It's nice if the projects eventually have some outside payout. For example, I sell some of the chickens' eggs. This helps with the cost of feed. I don't have a lot of typical hobbies, at least compared to the women I know. I don't care about shopping. (Shopping is a means to an end, not a means of enjoyment.) I don't go to the spa, movies, eat out a lot, attend concerts, or go on a lot of vacations. I consider chickens, bees, goats, making homemade ice cream, crocheting, gardening, canning, etc. my hobbies. So, I don't worry about spending part of my budget on these projects. 4. Will my projects enhance my life and the life of my family? I'm willing to put in the time for worthwhile projects. 5. Know that every, and I mean every, project will take more time and money than I think. I just expect it. ABOVE ALL: Do I feel that the Lord is leading me to do this? If so, I go for it. He won't lead me down the wrong path. When do I finally throw in the towel? I don't know. So far I've only had to do that one time. (I had a kennel. When I was pregnant with my third child, I could no longer take care of so many dogs.) I choose wisely before I start. Your article is spot on! Being in the extreme southeast, I actually DO grow peanuts and sugarcane. It's been about 8 years now since I started developing my little self sufficiency farm, and it is an amazing journey of continual learning! Bees were out of the question for me as there are several beekeepers nearby and their bees are competing for pollen and each one is getting less honey. Sugarcane grows like crazy here and I finally found an old timer with a tractor driven cane juice extractor. We will be juicing my cane in January, and I've purchased an eight-gallon cast iron cauldron to slow cook the juice down to a syrup. Just need to season that pot real good in the next few weeks! Every season I try to add a new skill, a new food source, and a new bit of permaculture. My non-homesteading friends are fascinated with my life, but I don't see any of them signing up to copy it! Hard cheeses and grape wine were my new additions this year. Next year will be the cane syrup, and elderberry wine. Wish me luck! Excellent answer to the question. I think it can be applied to any household not just homesteaders. We live in an HOA community and have been pushing the regs with our gardening. So far, a success with using edible landscaping and keeping the main veggies in the back. Major failure - growing strawberries hydroponically. Too few berries for way too much expense. Tried for 3 seasons, gave up. Now just need to sell off the equipment. We will be investing in more 'hardscape' to make caring for lot easier as we edge into our 70s. More time for growing and less time for mowing & trimming is where we're headed. Fabulous post. Definitely alot of thought and wisdom goes into your decisions. I love the definition of homsteading from Countryside. It describes the beliefs that my husband and I hold perfectly. It is definitely a lifestyle that would do alot of good in the world today if more people practiced it. Well. We pray about it. It's difficult but if it doesn't bring you peace don't do it. We've been trying to buy a farm or land for the years now. We've realized this area its impossible to do so unless you're very very wealthy. We cannot afford it. Plain and simple. So we have to change our criteria for homesteading. Keeping Christ in the center. We look for is it good true and beautiful to start. Then is it our failure or something else. Is it helping us become better people? Is it helping others? Is it selfish? If it is our failure and can be remedied we strive to fix it. Money is always a huge factor. 5 kids makes it so. Consider maple trees? Do they grow out there? If you're thinking of sugar maples -- yes, they grow, if artificially planted (they're not native to the area); but to get enough sap to justify a maple syrup operation would require more land than we own. This might also rule out such things as blue agave, which you'd be able to use as a sweetener once you've collected the sap. Thought about growing stevia as well? Now that I've switched, I find very little use for large amounts of sugar, especially in such things as tea and coffee.